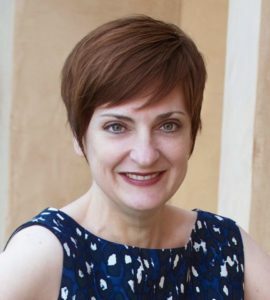 Today, I’m happy to be hosting a stop on the Great Escapes Virtual Book Tour for Engaged in Trouble by Jenny B. Jones, the first in the Enchanted Events Mystery series! I was supposed to be doing a review, which will come at some point down the road, probably towards the end of next week, but I had to change this post to a spotlight post due to having issues with migraines this week. Dang migraines. Thanks for joining me on today’s stop! I’ll try to get the review up as soon as I can next week! If you wish to visit other stops on the blog tour, click on the banner below! It will take you to the main tour page where there is a list of participants! Today, I’m thrilled to be bringing you a stop on the Great Escapes Virtual Book Tour for All Signs Point to Murder by Connie di Marco! This was an absolutely delightful book to read! This is a delightfully fun book to read! It is the second in the Zodiac Mystery series and I get the feeling that if I’d read the series in order, I might understand a couple of things a little better, but this time I don’t feel like that detracted from the book or diminished my ability to enjoy it. Our heroine, Julia, is great. For the most part, while she lets her emotions get her into bad situations at times, she doesn’t seem to go deliberately looking for trouble. She might ask questions and talk to people, but she’s not out there deliberately putting herself in harm’s way most of the time (tho’ harm’s way finds her, unfortunately). I enjoyed the supporting characters as well. I’d like to see more of Gail and Cheryl in the next book, but I realize they weren’t really part of this particular story line. Speaking of story lines, this one was fantastic! There were enough red herrings to keep me from accurately guessing the person until right near the end. Even then, I wasn’t positive I was right until the climax of the book. The prose flowed well and the pace was steady, but not too fast nor too slow. I could have used a little more setting descriptions, but I’d rather an author err on the side of being too cautious and not giving me enough description rather than being extra wordy about them. All in all, I highly recommend this book! I’ve already grabbed the first one in the series from my library and plan to indulge over the weekend! Enjoy! Thanks for joining me for today’s stop on the Great Escapes Virtual Book Tour. If you wish to visit other participants’ stops, please click on the banner below. It will take you to the main tour page which has a list of participants! 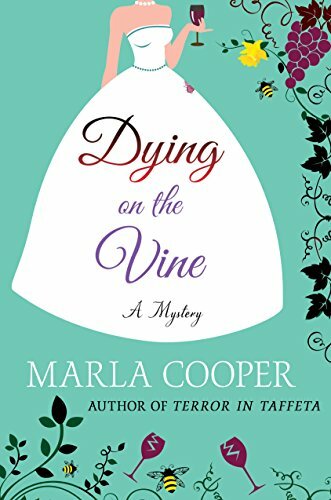 Today I’m happy to be hosting a spotlight for “Dying on the Vine” by Marla Cooper! I’ll be reviewing this book either later in the week or early next week! !